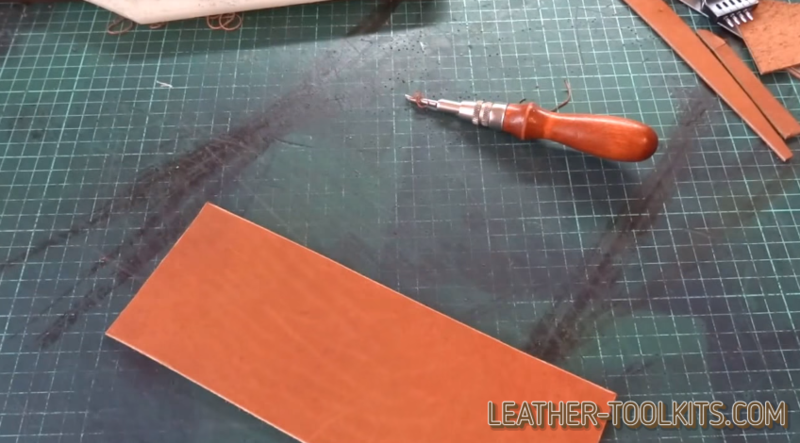 Being a dedicated leather craft artist, an enthusiast, making unparalleled belts, straps, horse saddles or knife sheaths, passport covers and pendants; or just a homeowner, you would hardly use an industrial sewing machine. 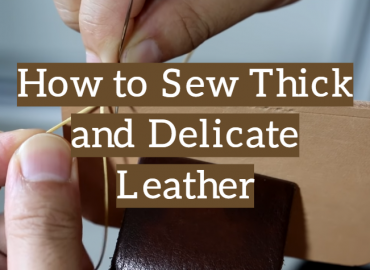 Even if you regularly work on the thick cowhide materials, really durable and inflexible, you would definitely select the hand suturing method and it’s the right choice! Utilizing the perfect and advanced manual techniques, like “saddle stitching”, you get really strong suture, neat, straight joints with even and exact spaces. 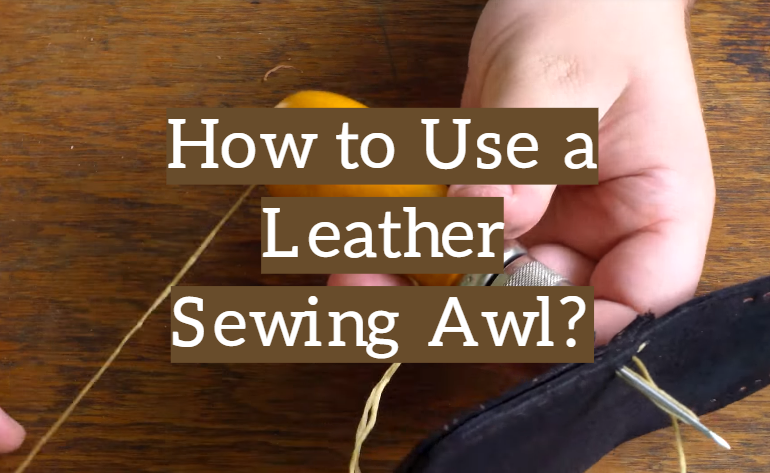 What is a Sewing Awl? 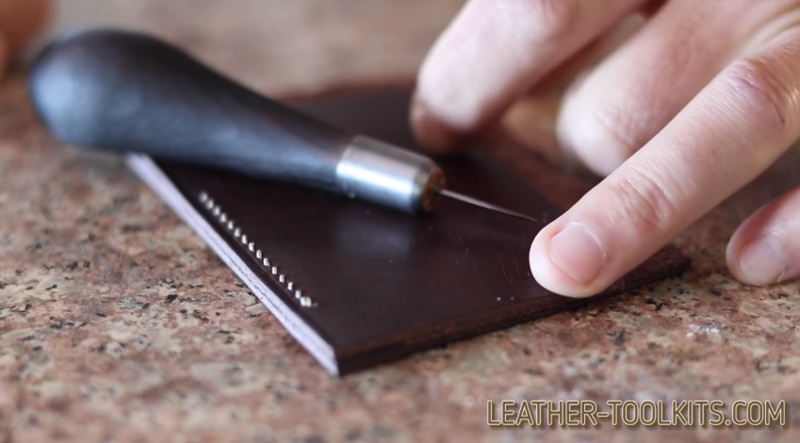 How to Use an Awl to Sew Leather? 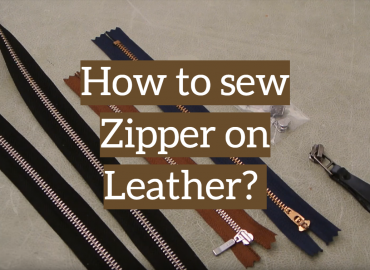 Finally, if you don’t have any task-orientated tool at hand, but still want to repair your favorite belt, bag strap or zipper, it’s possible to use a common fork that is equipped with 4 evenly-spaced and sharp tines. However, we strive for getting the most efficient tools that help us to make the most accurate, perfect holes and strong joints really fast, minimizing the hands’ fatigue. Sewing awl is a tool, able to make holes and seam up the thick natural items simultaneously and pretty good. 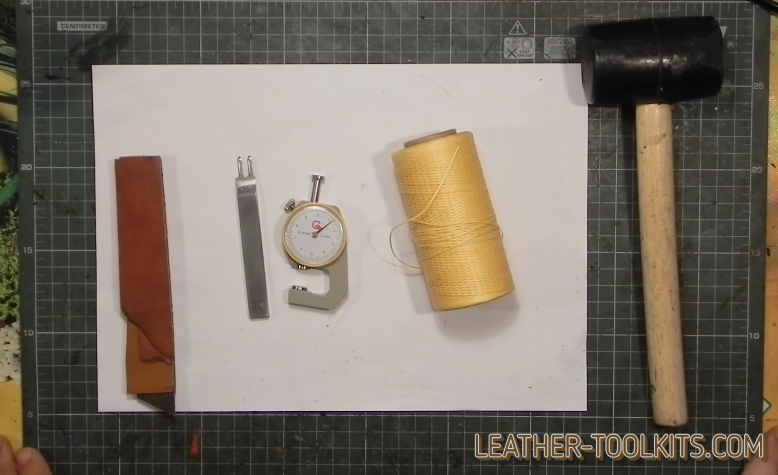 Meanwhile, let’s check, how to use a sewing set on leather and what are the benefits of using this great, versatile, purpose-designed tool. a spool, equipped with the thick thread, located between them. The needles can be interchangeable, coming with straight or curved blades. The heavy, long, waxed thread goes from the spool, making strong, lockstitches at once after the leather punching. It’s commonly made of heavy-duty polyester. The handle is preferably made of genuine, black or redwood, for example, ebony, mahogany or walnut. The handle’s shape can be different, following its applications and the artist’s preferences, but it is perfectly polished, smooth and natural, untreated by no varnish or chemical solution. The blade is made of the strong and rust-resistant stainless steel. Its shape can be different: diamond, oval, hexagon or flat, depending on the application and the puncture types you are going to cut. A chuck or coupler is located between the handle and the blade. Having unscrewed it, you can change the needle. A wrench may be included to the kit, being stored inside of the handle. A sewing awl is a multi-purpose, pro-grade tool that is widely used by leather making professionals, cobblers, handicraft shoemakers and repairers, as well as by bookmakers and scrapbookers. Actually, it looks like a heavy-duty, large-scale needle, but it serves like a compact and lightweight, manual sewing machine, that has all of its basic components, but for the engine. making indentations in various materials. The awl’s blade is placed across the material, commonly natural wood or leather, on the pre-defined points and cut the holes, applying some pressure. Afterward, it’s commonly twisted through 90 degrees to create or enlarge the puncture. Additionally, a cobblers’ awl is commonly equipped with a curved blade. The one, designed for shoemaking or repairing applications can also come with a hook on the end. 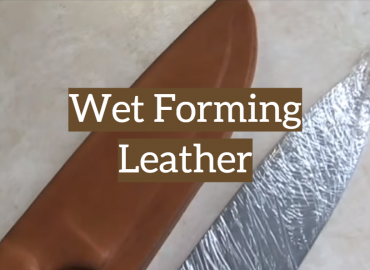 This way it is perfectly used on hard-to-reach leather shoe areas, fixing small rips or tears quite accurately. run the waxed cord into the blade eye. I would recommend you to apply pliers for inserting the awl’s blade (the needle), as it’s really sharp and some pressure would be necessary to insert it. Actually, the thread flows down through the core opening and the bezel, making the needlework process pretty easy. Thus, to sew the thick, cowhide material with an awl, just put it through on the marked spot and drag the cord from the piercing. Bulldoze the blade through the next hole and take the cord end through the improvised loop. Pull the awl’s blade back and form a lockstitch. Proceed with the next spots and joints. Make several stitches backward to complete a secure ending. Cut the suture off. 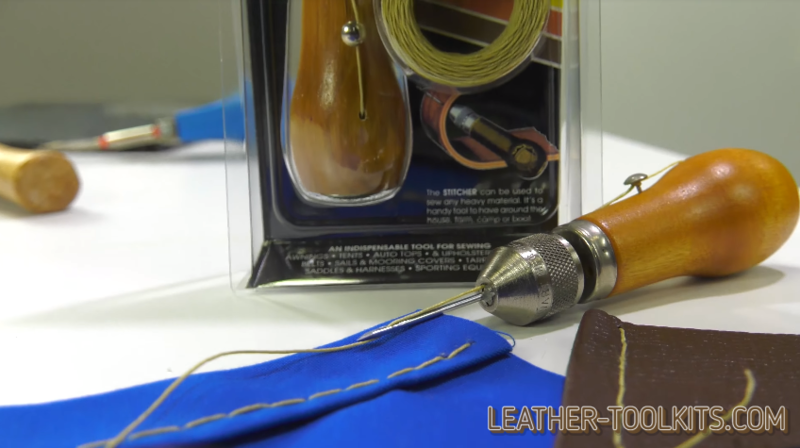 A sewing awl kit is versatile, essential for leather craft and repair professionals, as well as for homeowners. 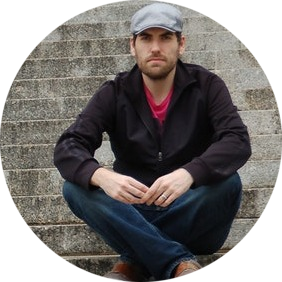 It works on all kinds of heavy-weight materials like canvas, duck cloth or cowhide items. 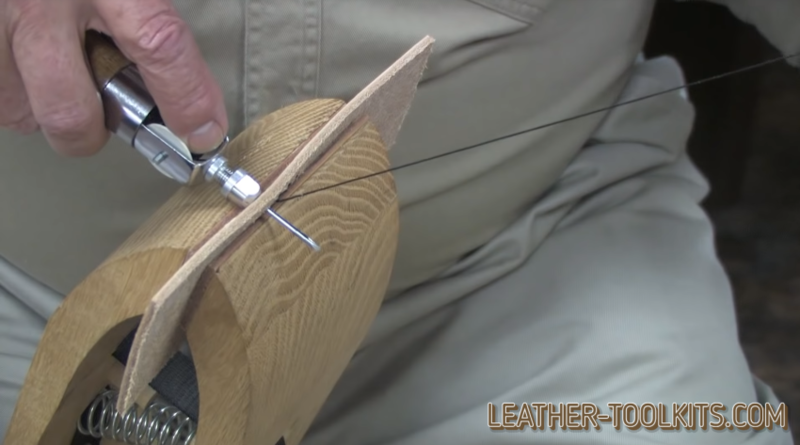 The tool is handy and intuitive-to-use, letting you make a lockstitch, similarly to the saddle sewing method. 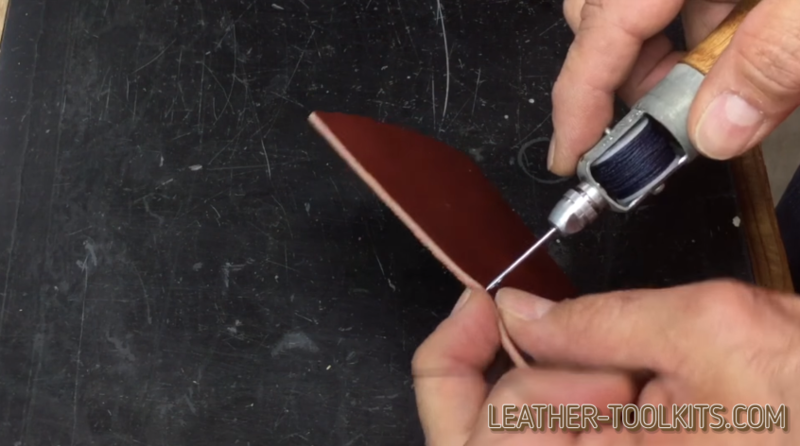 It helps the leathercraft artisans and homeowners to make really strong, double-sided joints easily and fast. 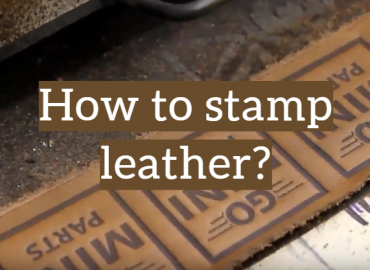 But for punching the leather with rotary whole punchers, chisels and overstitch wheels and then seaming up the material by the large, ordinary needles, you just make the punctures and the seams simultaneously, so, it takes only a couple of minutes. Only the preliminary measuring and marking is essential. Thus, this tool is handy, essential for any household and quite affordable.